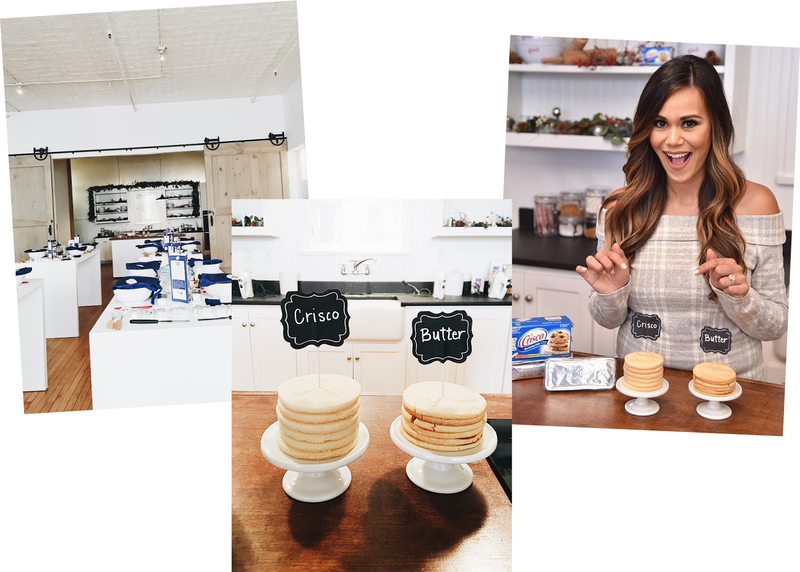 This post was sponsored by Crisco®, who invited me to the Bake It Better Bootcamp with Brandi Milloy and provided the ingredients and compensation to make it happen. As always, all thoughts and opinions are my own — thank you for supporting Hummingbird High and all my sponsors! I used to pride myself on NOT being a food snob. I've been to my fair share of Michelin-starred restaurants, even the bigwig ones like Eleven Madison Park, and still — push comes to shove, I would choose a burger and fries over any prix fixe dinner as my last meal on Earth. I also have a weird, undying love for Panda Express, Whataburger, and other fast food chains. I'm as content with a tasty meal from a dubious, hole-in-the-wall restaurant with Styrofoam plates than one with white tablecloths and crystal stemware. I always assumed that this "food populism" (for lack of a better word — because what's the term for the opposite of a food snob? Is there even one?) extended to my own kitchen and home cooking, but in the last few years, I've found myself gravitating towards higher-end groceries and ingredients. As my disposable income has grown, I find myself choosing organic/sustainably made/grass-fed/free-range ingredients over their alternatives for many reasons. These choices are based not only on taste, but because of moral ones too — it turns out that I'm a hippie at heart who often finds herself thinking about the amount of unnecessary waste we create and the welfare of animals that we eat. Unfortunately, I know that buying for sustainability and animal care comes at a high cost. There are many folks who can't afford to make the same sorts of consumer choices that I do. Alternatively, there are folks who can, but simply don't want to because they have different priorities and values. And that's perfectly okay. I'm not here to judge or shame anybody for their choices. Because despite my penchant for fancier ingredients, I actually believe that the best recipes transcend ingredients. Like, if a cookie recipe is good, it's gonna taste good no matter if you're using generic butter or the organic/grass-fed/free-range kind. So when Crisco® invited me to a "Bake It Better" Bootcamp in New York City, I was initially hesitant because with the exception of a few recipes, I rarely bake with shortening. But I realized that was my own snobbishness betraying me. Lots of people choose shortening over butter for its incredible value and consistent results. And beyond that, there are plenty of reasons to choose shortening over butter in baking recipes — for instance, Brandi Milloy, the baking expert leading the boot camp, taught us that shortening has a higher melting point. 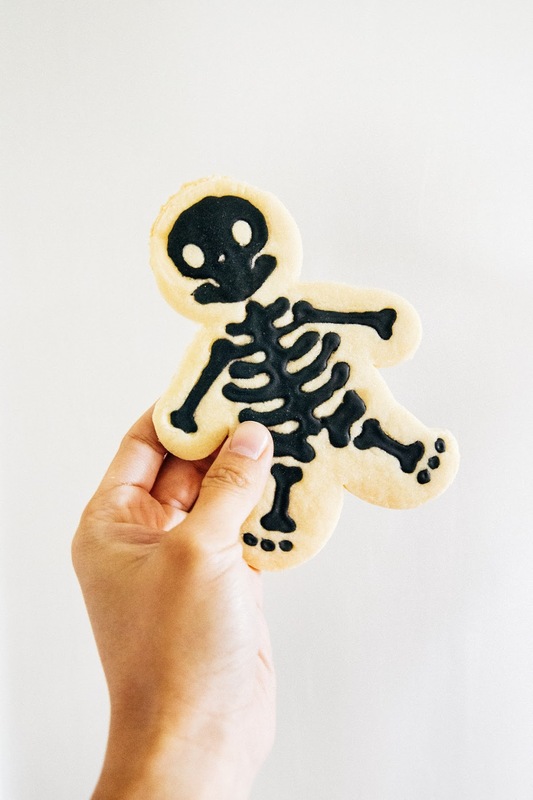 This means that flour and eggs in cookies have extra time to set before the shortening melts, resulting in sugar cookies that are thicker, light-texture, and more tender. 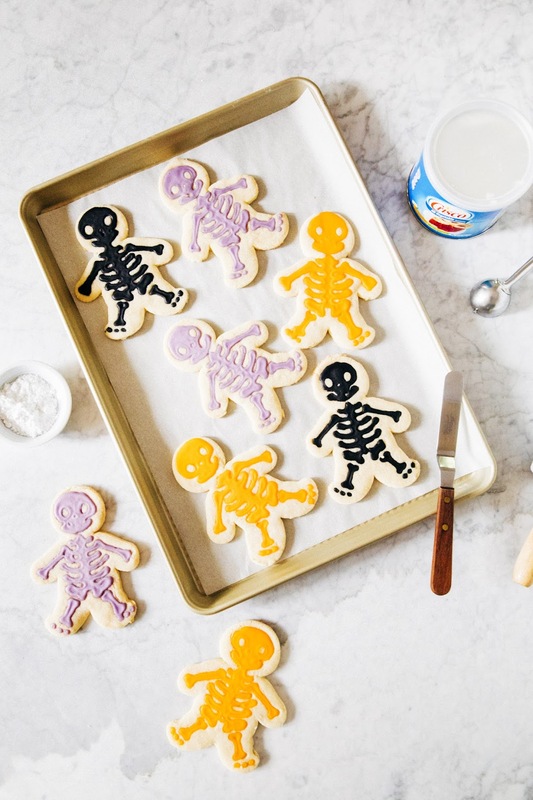 Shortening works especially well in roll-out sugar cookies, resulting in cut-out cookies that hold their shape better without even needing to be chilled in the freezer! 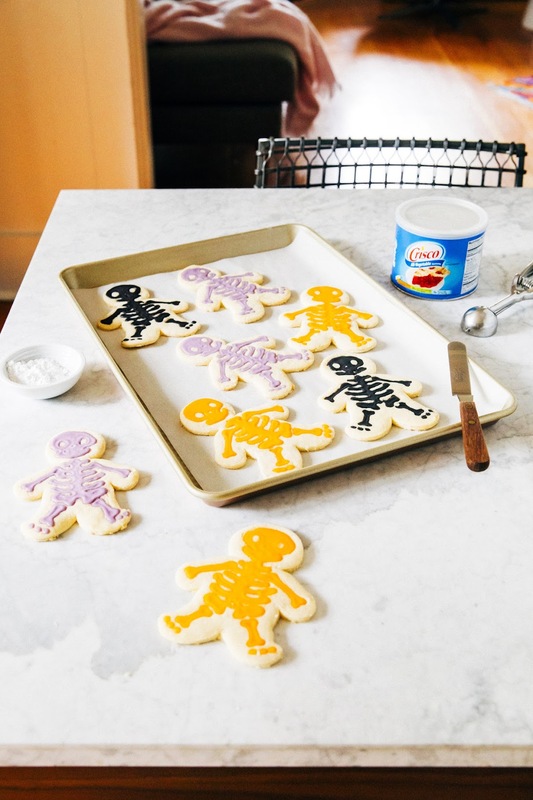 So today I'm sharing the Crisco® rollout sugar recipe from Brandi's bootcamp; in honor of Halloween (which is coming up fast! ), I decided to make some Halloween colored "gingerdead" men (get it, get it???) cookies to hand out to my neighbors. Each color is a different flavor, with black being licorice (I know, I know, a controversial flavor... sowweee), orange being citrus, and purple being lavender (another controversial flavor). So if you're in the SE Portland area and you get one of these in your kid's candy bag, be rest-assured that I didn't put any poison or razor blades in them. Just flour, eggs, sugar, shortening, and regular ol' #hummingbirdhigh love. Enjoy! I'm terrible at icing cookies (I'm no Vickie Yo or Patti Paige), so I bought these cutters that stamped a stencil onto each cookie and made the decorating process soooo much easier. Note that regular shortening traditionally doesn't have any flavor, so if you're looking for a buttery cookie, I suggest using either Crisco® Butter Flavor All-Vegetable Shortening or Crisco® Butter Flavor All-Vegetable Shortening Baking Sticks for a more traditional sugar cookie flavor. If you find that your dough is too soft and the shapes aren't holding when you cut the dough, don't be afraid to knead your dough a little bit more with some extra flour. The recipe is SUPER forgiving, so you can probably add up to 1/4 cup of flour without too much consequence. 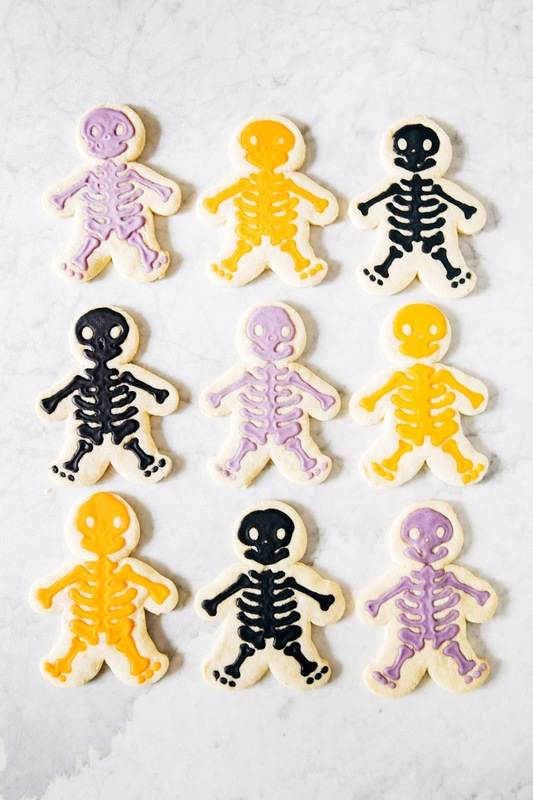 It's really hard to tell when sugar cookies are finished baking; their color doesn't change too much! Be sure to follow the recipe times and look at the edges to see if they've browned. And don't panic if the cookies are too soft when you pull them out — they'll firm up as they cool, I promise. Center a rack in the oven and preheat to 350 (F). Line two baking sheets with parchment paper and set aside. In a medium bowl, whisk together 3 cups all-purpose flour, 2 teaspoons baking powder, and 1 teaspoon kosher salt until combined. Set aside. In the bowl of a freestanding electric mixer fitted with a paddle attachment, combine 1 cup Crisco® All-Vegetable Shortening and 1 cup granulated sugar. Beat on medium speed for 3 to 5 minutes, or until light, fluffy, and doubled in volume. Lower the mixer speed to its slowest setting and add 1 large egg, 2 tablespoons whole milk, and 2 teaspoons pure vanilla extract, beating until just incorporated. With the mixer still on its lowest setting, gradually add the dry ingredients (from the 2nd step). Once all the dry ingredients have been added, turn the mixer speed up to medium speed, beat for 1 minute or until the dry ingredients have been fully incorporated. Scrape out the dough onto a lightly floured surface and use a bench scraper to divide the dough into two equal halves. Roll out each half on the surface to 1/4-inch thick. 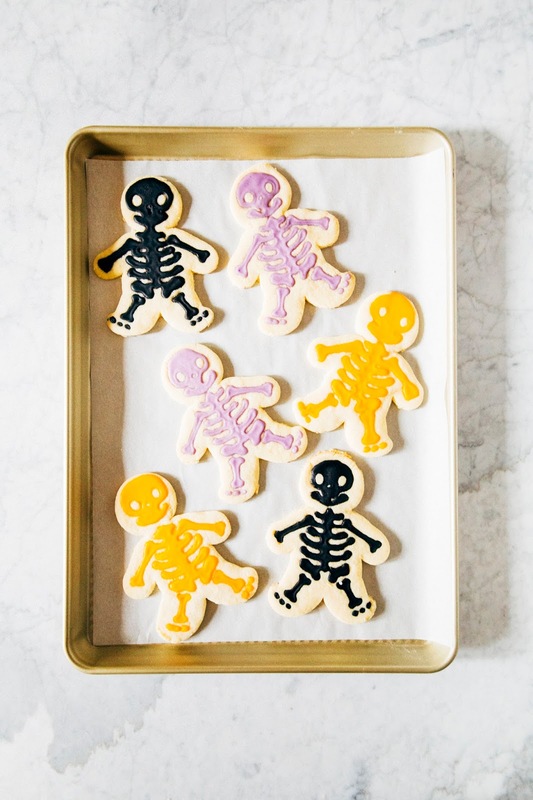 Use a gingerbread man cookie cutter and transfer them to a baking sheet, placing each cookie 2 inches apart. Gather together any leftover scraps and re-roll to make more cookies, using the cookie cutter to stamp out more cookies. Transfer the baking sheets with the cookies to the preheated oven. Bake for 8 to 10 minutes or until the bottom edges are very light brown. Transfer to a wire rack to cool completely to room temperature before frosting. In a medium bowl, whisk together 2 cups confectioner's sugar and 1 large egg. Add 1 tablespoon of water one at a time, whisking until the desired consistency is reached. For lining icing, which is thinner and good for outlining the bones, you want a soft peak to form when a spoon is lifted from the icing. For flood icing, which is looser and used to actually fill in the bones, add more water a little at a time until you reach a consistency similar to maple syrup. When a spoon is lifted from the bowl, the icing should ribbon down, disappearing in 6 to 8 seconds. Once you've achieved the desired consistency, divide the icing between three separate bowls. In one bowl, add 1/4 teaspoon culinary lavender extract and purple food coloring and whisk to combine. In another bowl, add 1/4 teaspoon licorice flavor and black food coloring and whisk to combine. In another, add 1/4 teaspoon orange extract and orange food coloring and whisk to combine. Transfer the icing to three different piping bags and use immediately.